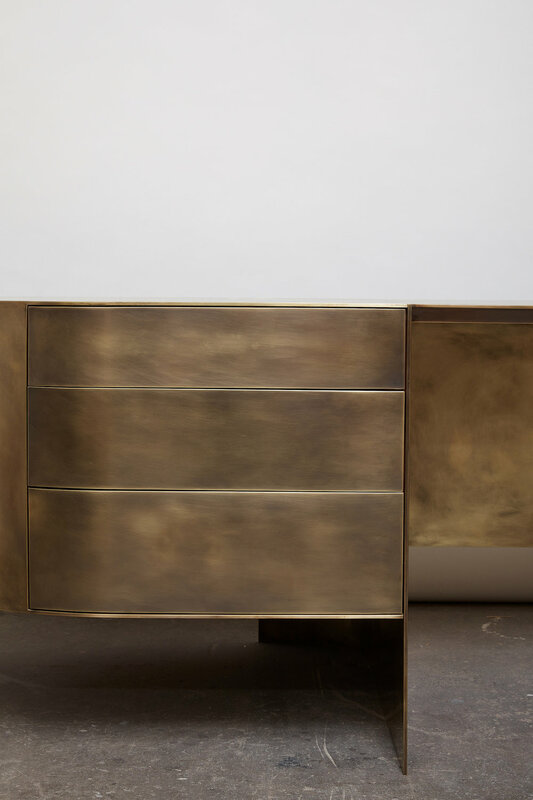 Los Angeles-based designer, Brian Thoreen, has designed a minimalist Custom Brass Desk. Brian's array of skills incorporate a number of design silos such as furniture, architectural installations and unique design objects. 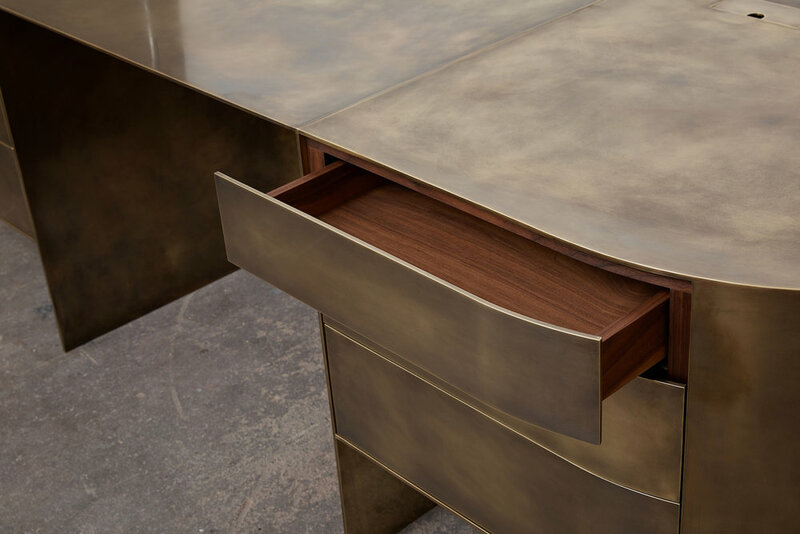 Each of his pieces, not limiting the customer brass desk, pulls from the integral nature of the materials used within the application. Working and complimenting the brass framework is the walnut drawers that provide a level of detail that is sophisticated and elegant for the user to admire. The desk also offers smaller design features such as the two cored organisers that can be found on the surface of the desk.